LEWISTON, Idaho - December 19, 2017 - The U.S. Department of Homeland Security (DHS), Immigration Customs Enforcement (ICE), recently awarded Speer a major ammunition contract. Starting delivery in 2018, the contract provides for up to 120 million rounds of 124-grain, 9mm Luger Gold Dot Duty ammunition to multiple DHS law enforcement components and other Federal agencies for up to five years. This contract will provide the organization’s agents and officers with the legendary performance that has made Gold Dot the No. 1 load of law enforcement worldwide. 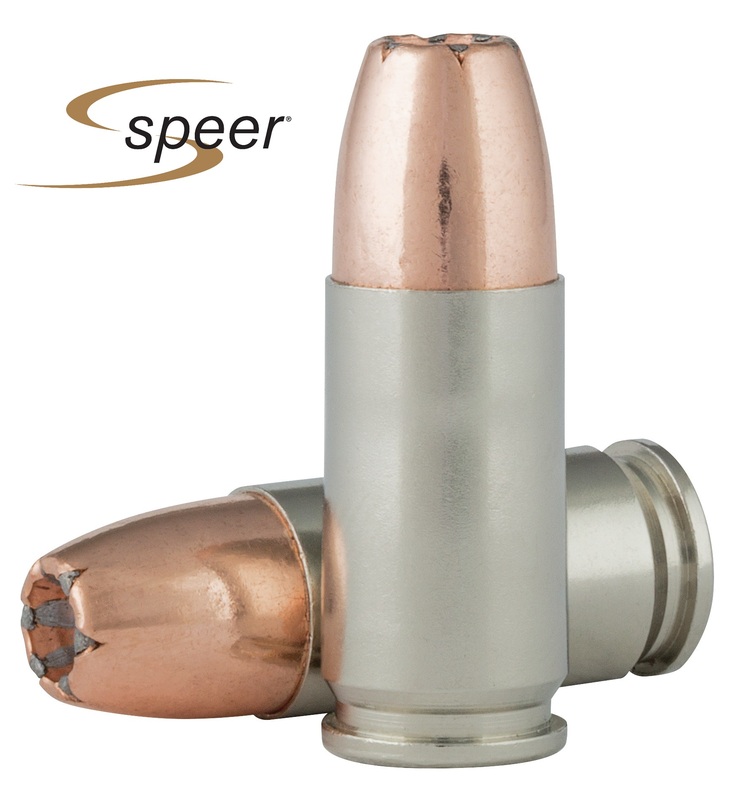 “Speer Gold Dot has a long history of providing trusted performance time and time again for our nation’s law enforcement and military. We’re very proud to provide Gold Dot to the DHS for their duty ammunition needs,” said Jason Nash, Product Director. Each Gold Dot hollow-point cavity is tuned by caliber and bullet weight to ensure optimum expansion and penetration. Gold Dot was the first handgun ammunition loaded with true, bonded-core bullets. Speer’s exclusive Uni-Cor construction process bonds the jacket to the alloyed lead core one atom at a time to virtually eliminate core-jacket separation while guaranteeing uniform jacket thickness for superior accuracy. Additional Gold Dot features include ultra-reliable CCI primers, plus high-powered, clean-burning propellants and nickel-plated brass cases for smooth function and extreme durability.